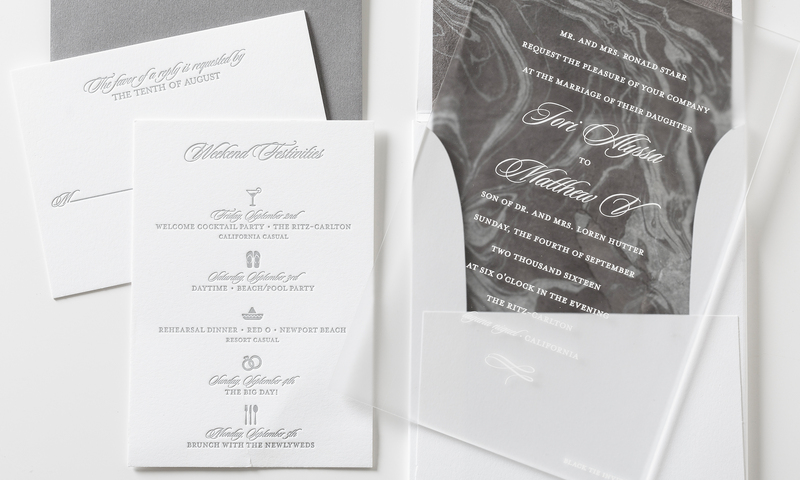 This invitation blends modern materials with traditional typography. 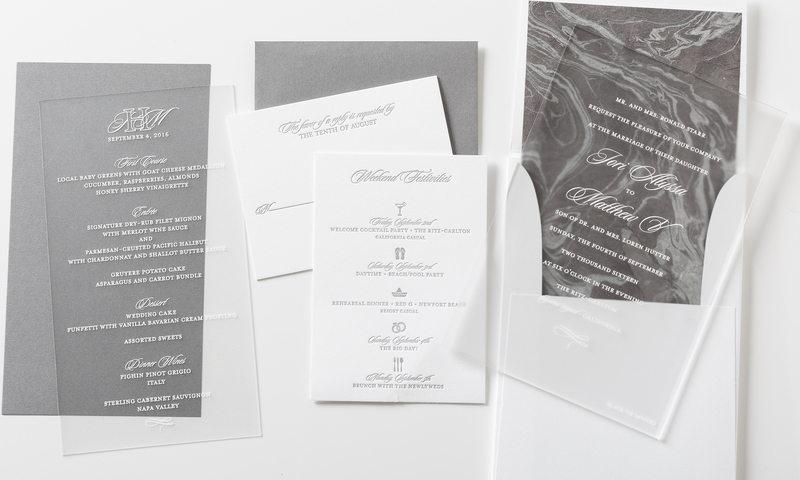 The frosted, romantic look of the invitation mailed in a white envelope with a marbleized handmade grey liner, perfect for a formal wedding! Whimsical icons adorn a letterpress printed weekend card and coordinating reply set.